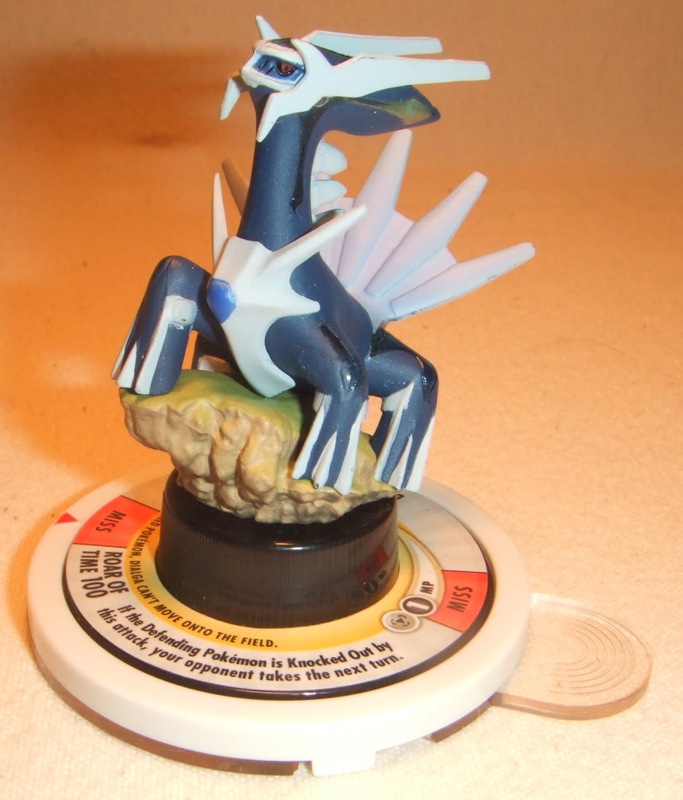 Since I've ceased collecting other Pokemon, this is now my sole wants page. 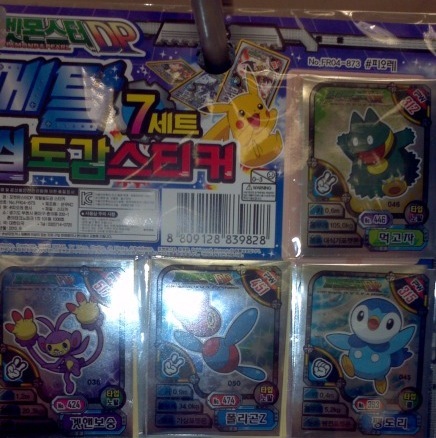 Don't see something here, or in my collection? 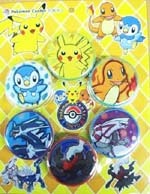 Please let me know at 'happyjolteon at gmail dot com'! 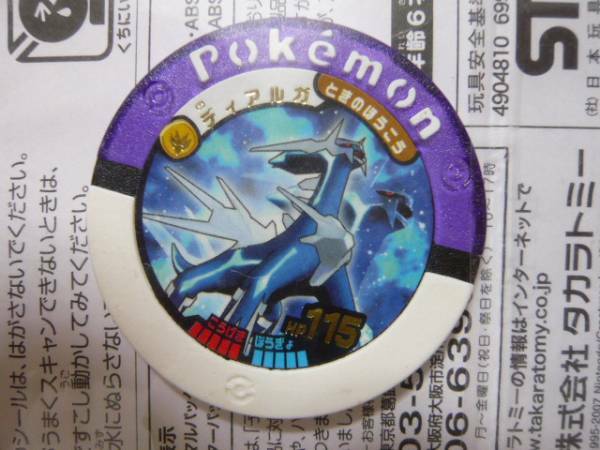 I'm especially looking for new or unknown figures, stamps, and pins, but I'm interested in most flat items as well. 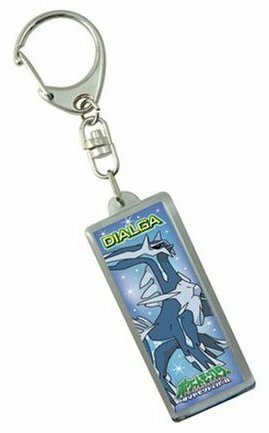 The only things I am generally not interested in are clothes (too expensive and hard to display for me), items that show Palkia (or Giratina or Darkrai) and Dialga together, and bootlegs. 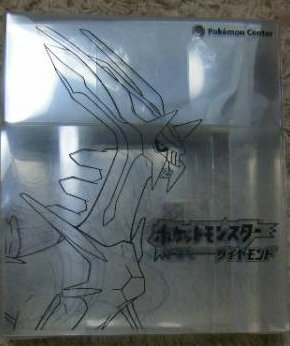 Custom and fan-made items I consider on a case-by-case basis. 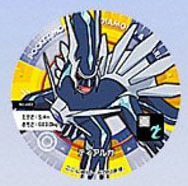 The blue version of this stamp! 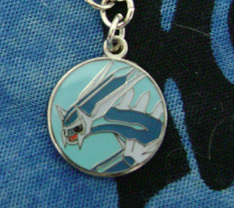 This charm not on a chain with others, if it exists in that style! 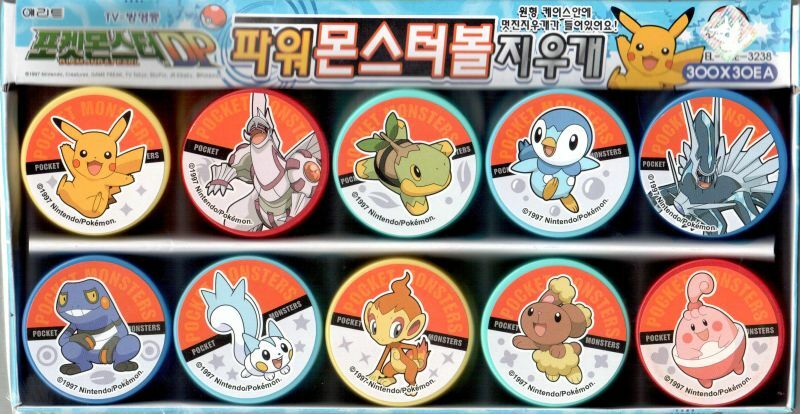 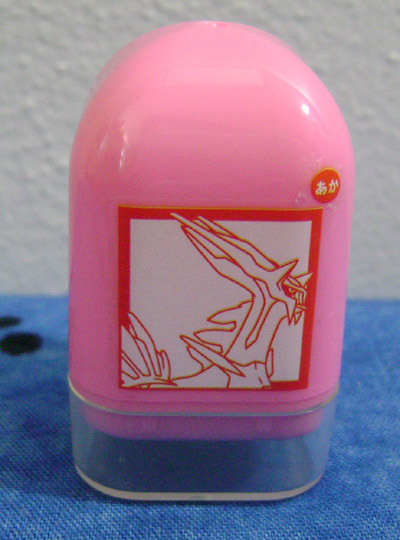 Ensky Ramune stickers, other than these. 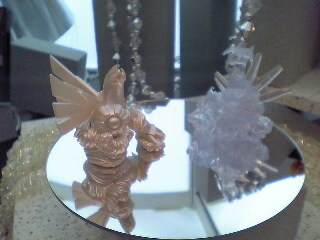 I know I'm missing at least #51 and #341. 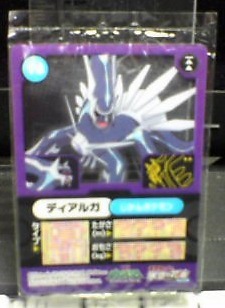 Any other missing Retsuden Amada stickers. 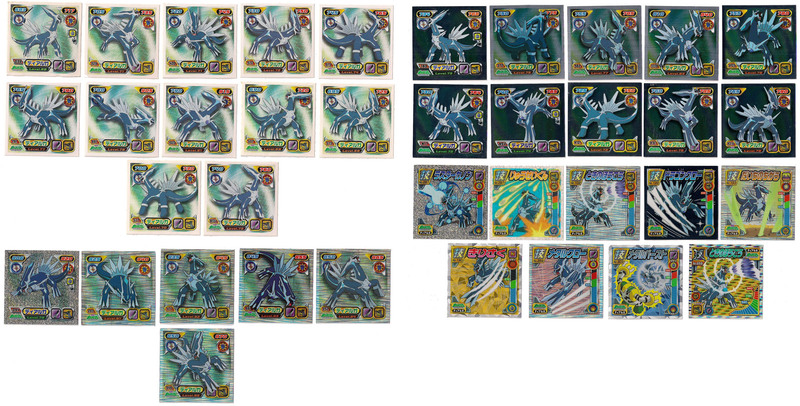 I have 37 so far and that seems to be most of them, but I'm after any not shown here. 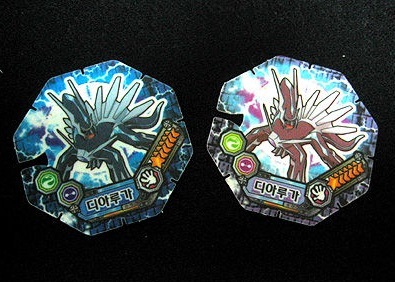 The only one I know I'm missing is numbered S48, and is pictured above. 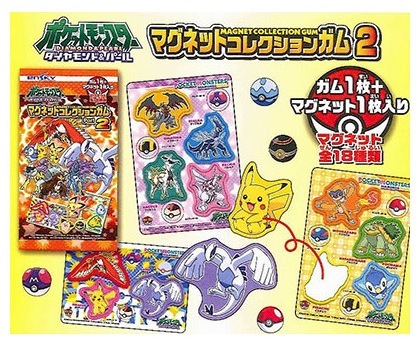 Any individual stickers not listed on this site! 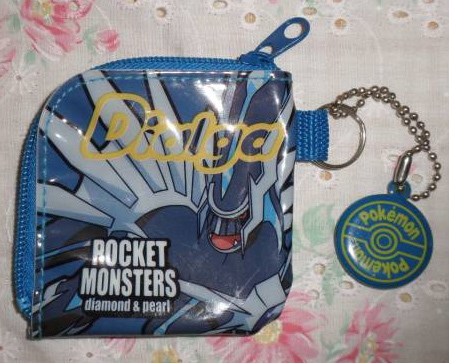 These are items I'm not actively seeking, but would be interested in buying on eBay or direct from individuals. 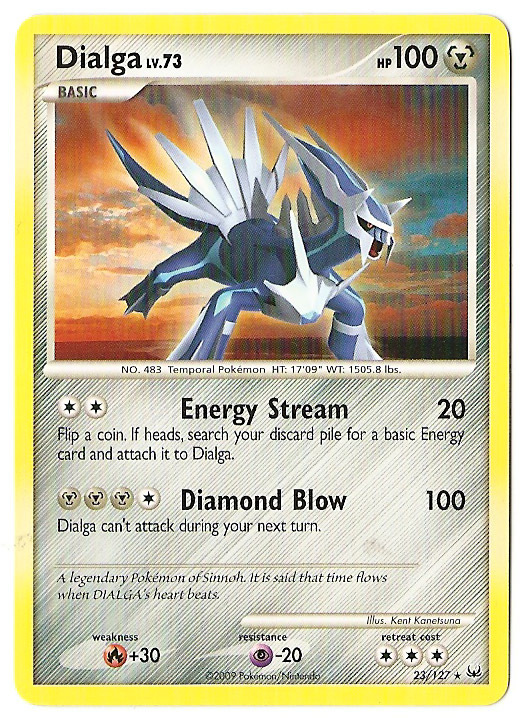 The following English language Dialga TCG: Reverse holos of this Platinum card, this Platinum card, this DP card. 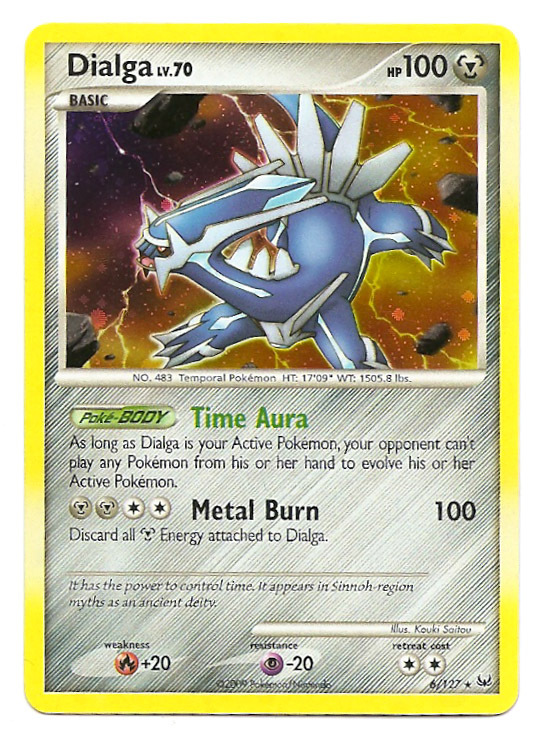 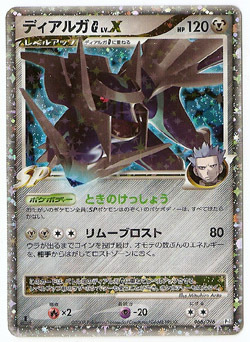 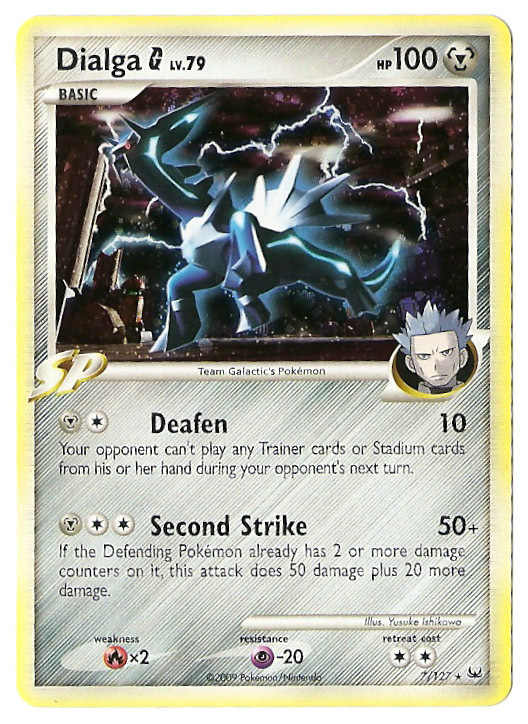 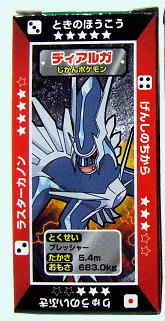 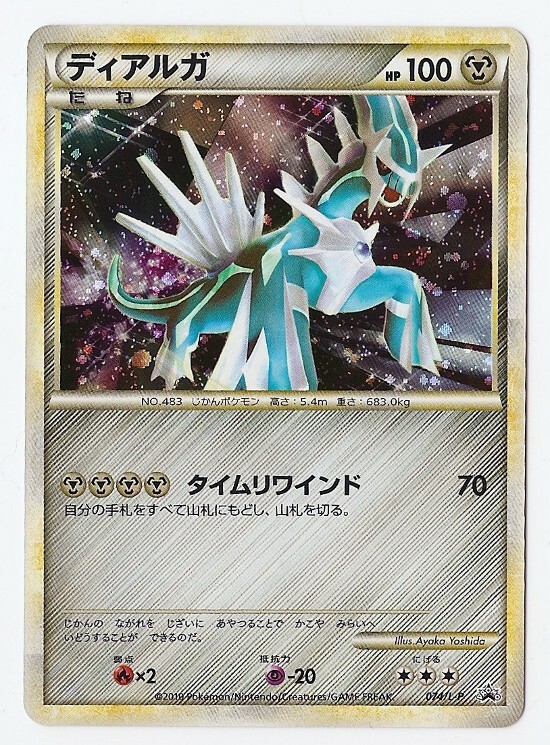 I'm also looking for the League Promo version of this card, and regular English versions of the shiny card and the Dialga G LvX - I held off on getting them while they were still viable in tournaments. 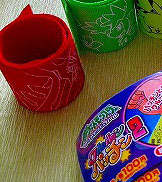 These items are coming soon! 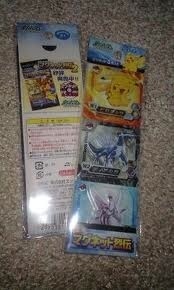 Other than the things already on this site, here is what I am NOT looking for! 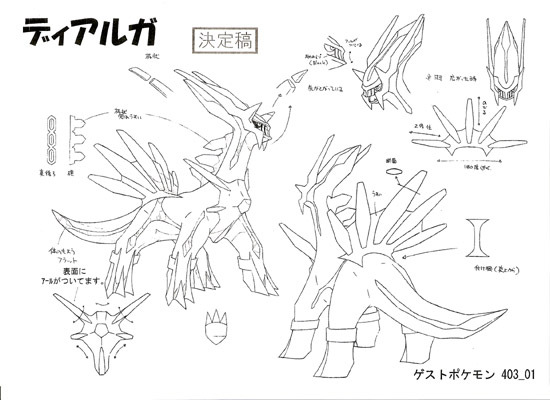 Items that feature Dialga with other Pokemon, or where Dialga has been cut out of something featuring lots of Pokemon. 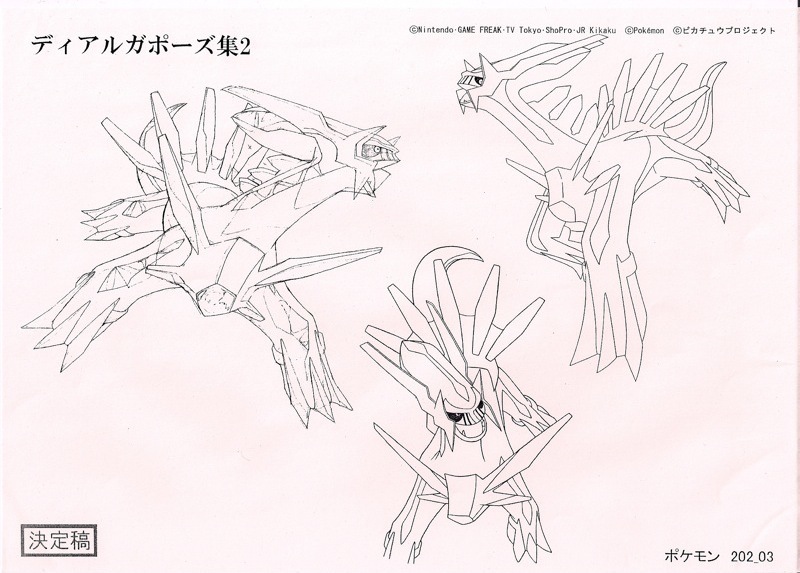 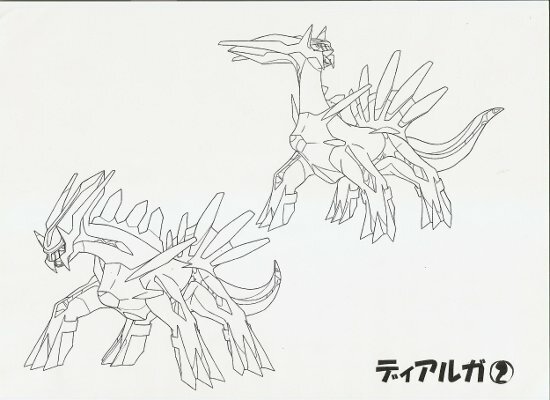 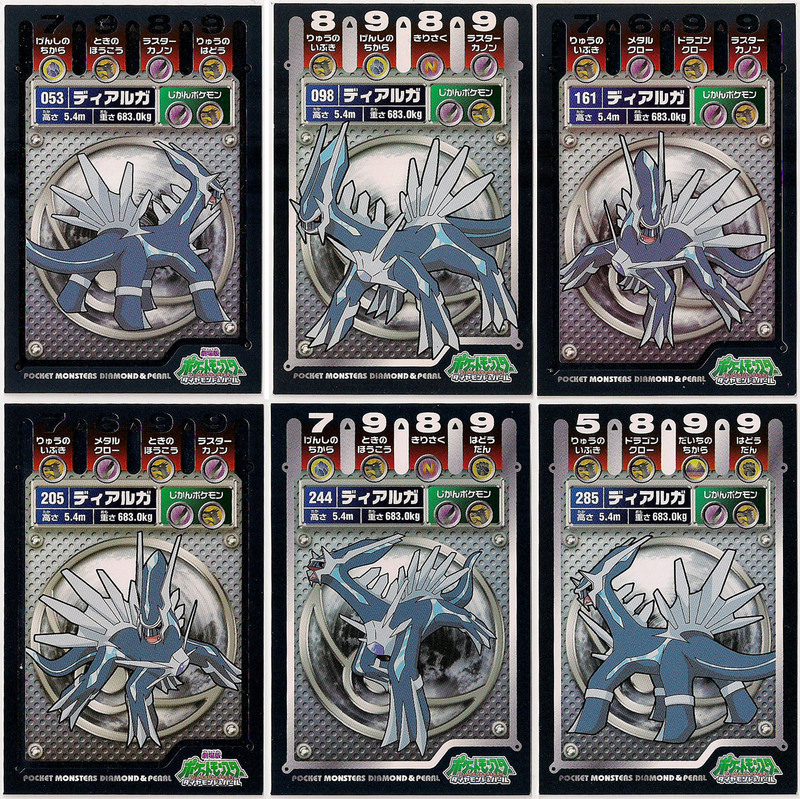 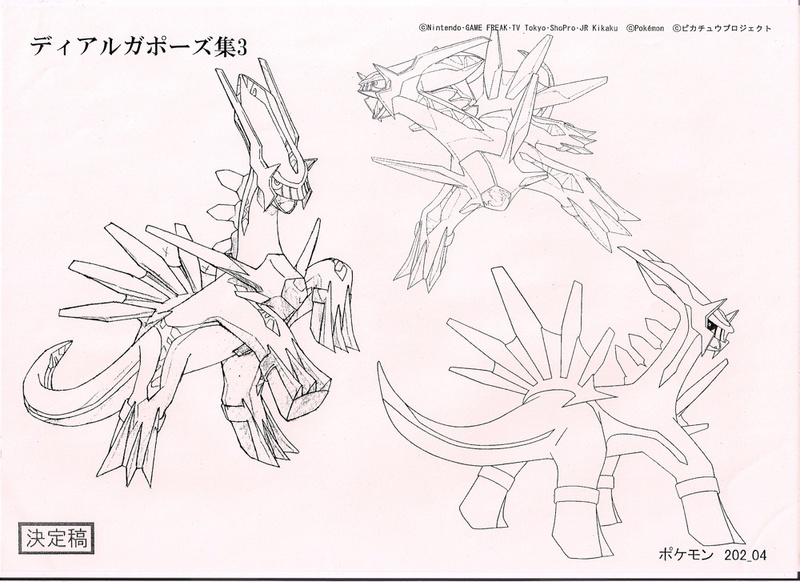 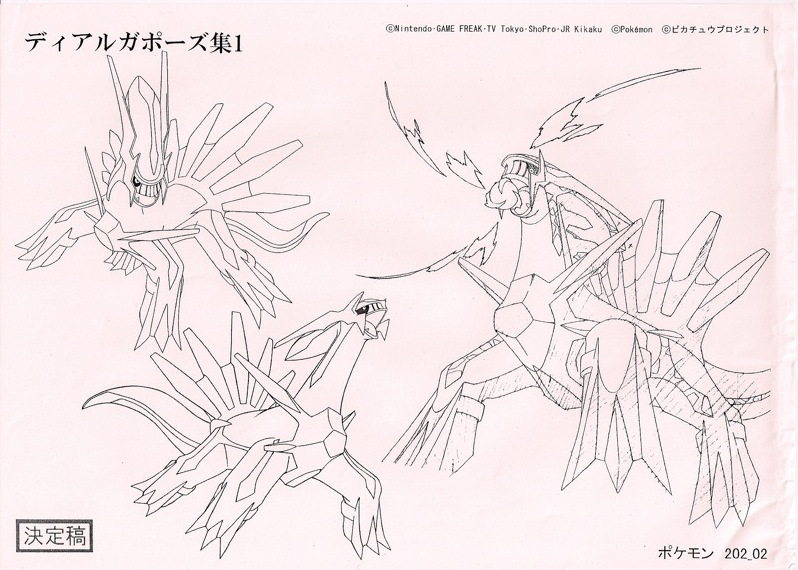 There are too many things with just Dialga alone for me to try and track these down! 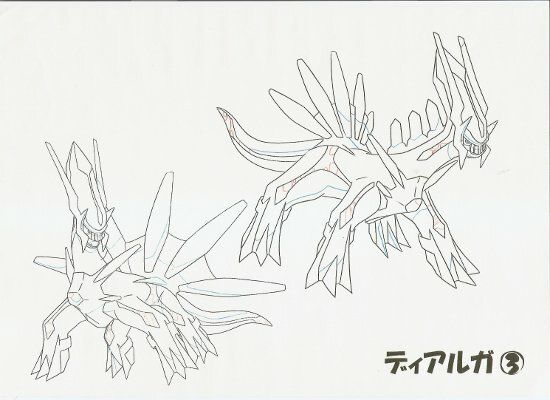 As related to the above, items where Dialga appears with Palkia, Giratina, or someone else, such that he can't be separated or shown alone. 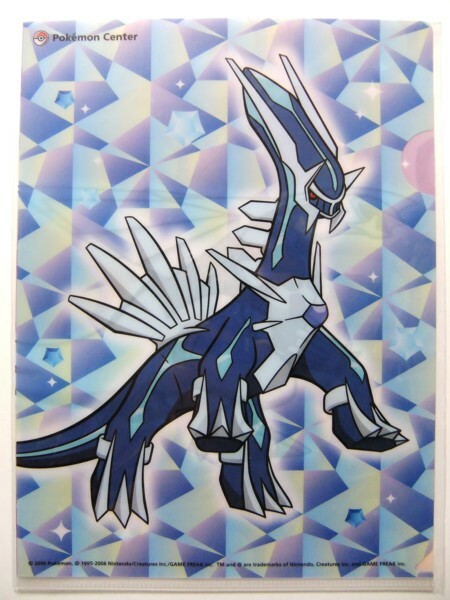 For this reason, I'm not looking for any of the Dialga Palkia Legend cards - one half doesn't have a head, and the other half features primarily Palkia. 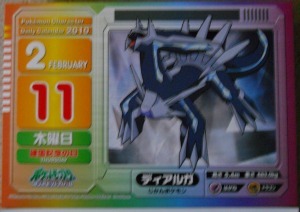 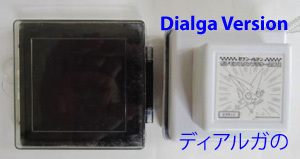 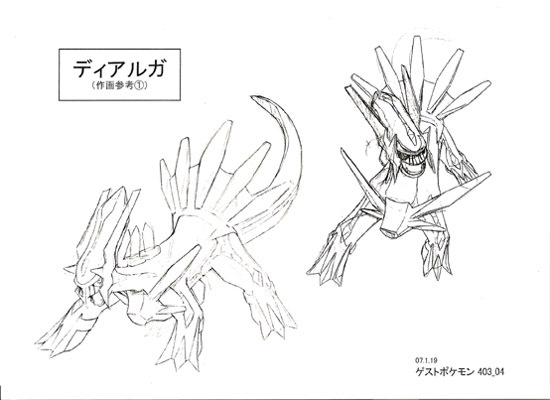 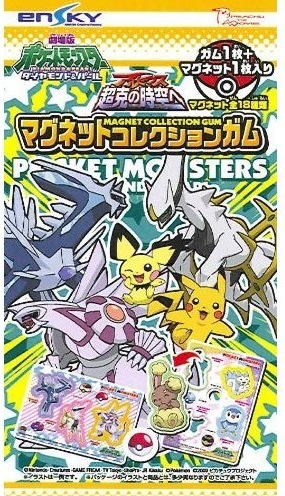 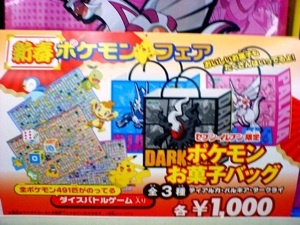 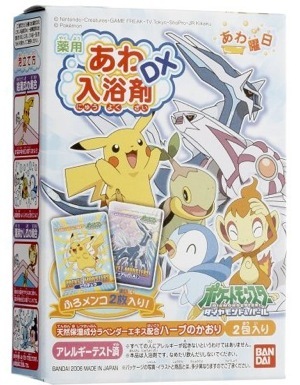 That said, items like clearfile with Dialga on one side and Palkia on the reverse are a-okay! 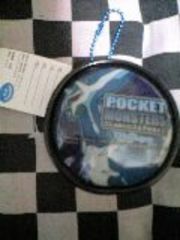 Children's clothing items. 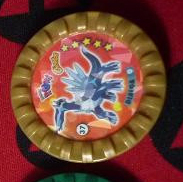 Although these are unique official items, they are too hard to display and photograph for their prices for me to go after them. 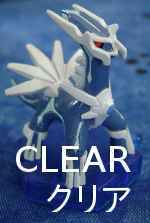 That said, I am still looking for any hats or adult clothing items. 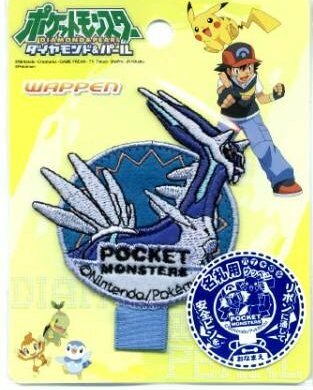 It's a bit different if it's something I could wear!